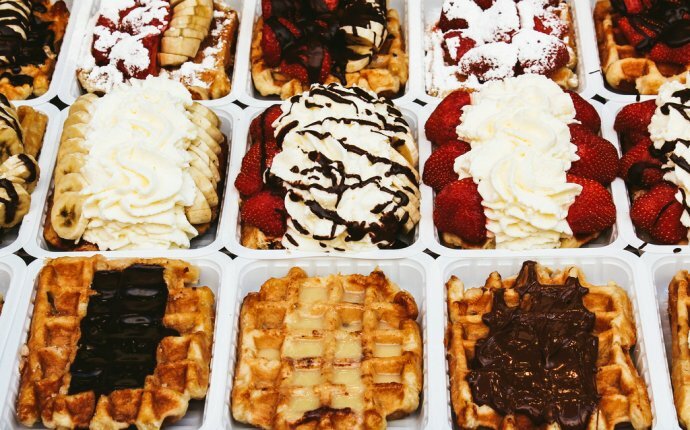 The Waffle Workshop starts on Brussels Grand Place with a short walking tour and introduction to the delicious world of Waffles. Then serious stuff starts when we go to the actual workshop, split in teams and start cooking. After making the batter, some demonstration and a tasting session, the participants are invited to make their own waffles and decorate them with fresh fruits, chocolate, whipped cream, speculoose, nutella etc... The Waffle Workshop is a perfect activity to take a rest from Brussels busy cobblestone streets while enjoying delicious Belgian Waffles! You don't need any previous cooking experience to attend the workshop and kids are welcome too. We provide everything you need: ingredients, toppings, instructions, cooking gear, cookware, assistance, demonstration, a drink and you can bake as many waffles as you can eat! The workshop starts with a short introductory walking tour that will lead you to our venu where we will be cooking together! A free drink is included too and you can make as many waffles as you can eat!